Candace Rae Lillard, 75 of Middleburg, FL passed away Thursday, May 24, 2018. Candace was born in Grass Valley, California and moved to Middleburg two years ago from Vallejo, California. While living in Vallejo, she worked for the California Maritime Academy and retired after 18 years of service. She enjoyed working crossword puzzles, reading and crocheting. 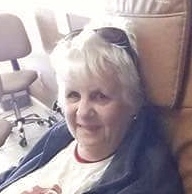 Mrs. Lillard was preceded in death by her brother, Dean Andrew, and is survived by her daughters, Cathy (John) Coleman and Caryanne (John) Burke, two sisters, Margaret Jiminez and Diane Hunt, six grandchildren, Kenneth, Rebecca, Chrystal, Stephanie, Jacob and Traci, nine great grandchildren and a great granddaughter expected in a few months. Memorial Services will be held 6:00 PM Friday June 1, 2018 in the Prevatt Chapel at First Baptist Church Middleburg.